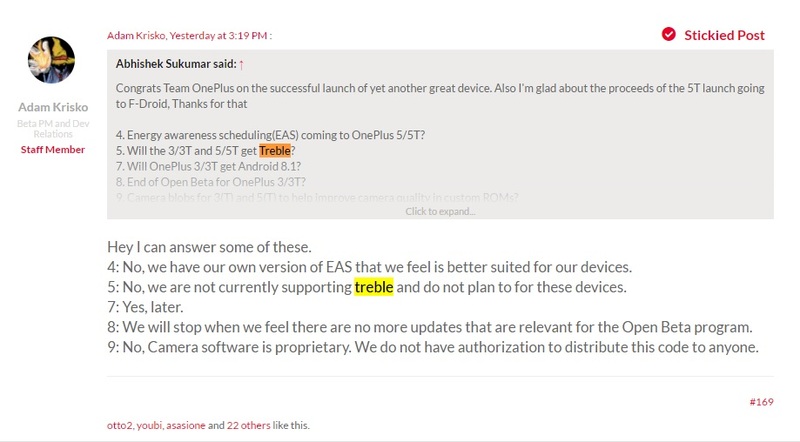 In an AMA on OnePlus forums yesterday, company staff confirmed that no current OnePlus device—5T inclusive—will be updated to support Google's new Project Treble. OnePlus has confirmed that neither the OnePlus 5T, nor any current OnePlus device, will receive Google's Project Treble functionalities. The company dropped the confirmation during its AMA on the official OnePlus forums yesterday. Project Treble is a new endeavor by Google which supplies new APIs that make future OS updates of Android devices more viable by circumventing carrier/OEM interference. It's supposed to set the platform for a more unified Android OS framework, which would also make OS/ROM development easier. Treble comes by default on any Android device launched on Oreo, but recent developments—the first-gen Pixels, and the Essential PH-1—are indication that devices on Android 7.1 Nougat can be updated to support the project. OnePlus is not keen on going that way, though, as no current OnePlus device will be updated to support Treble. 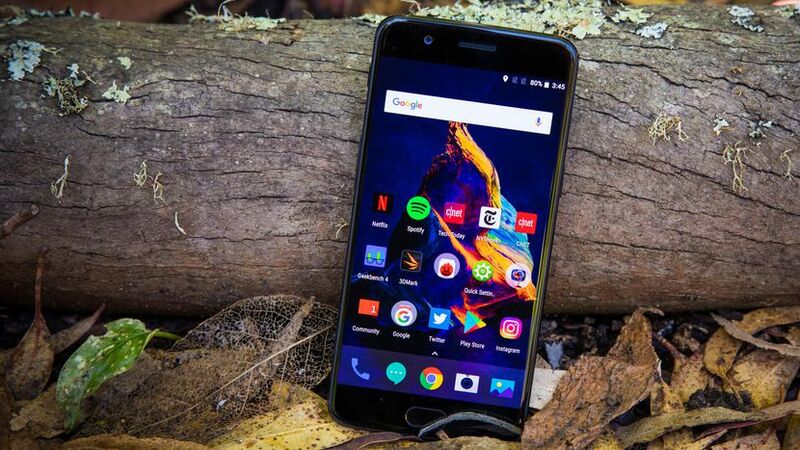 It's no surprise, really, as the company has a quite sketchy update policy—company staff once again confirmed that Android P will be the last major the new OnePlus 5T receives, even though it was launched months after Oreo was released.